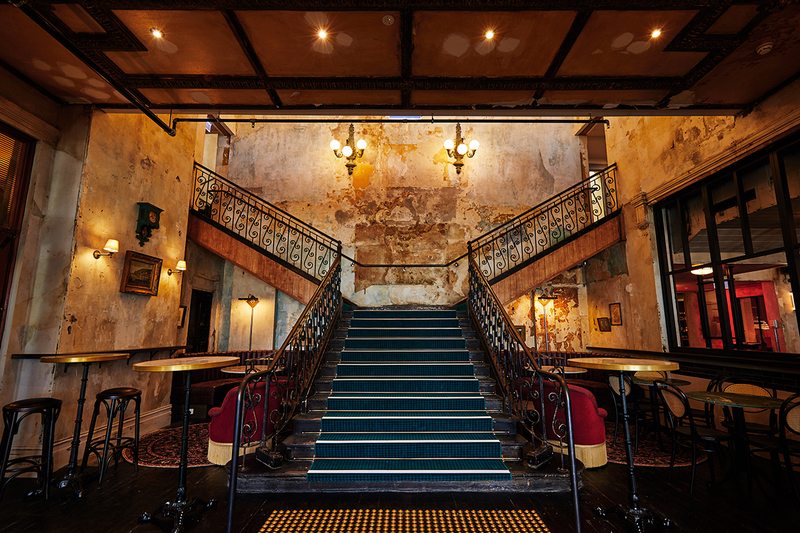 St Kilda's landmark Esplanade Hotel or "The Espy" - as it is affectionately known - is reopening its doors following an extensive two year refurbishment undertaken by owners Sandhill Road and long time collaborators, Technē Architecture + Interior Design. The 140 year-old icon has been reborn via a design strategy which celebrates the story of the landmark venue and its rich layers of history. 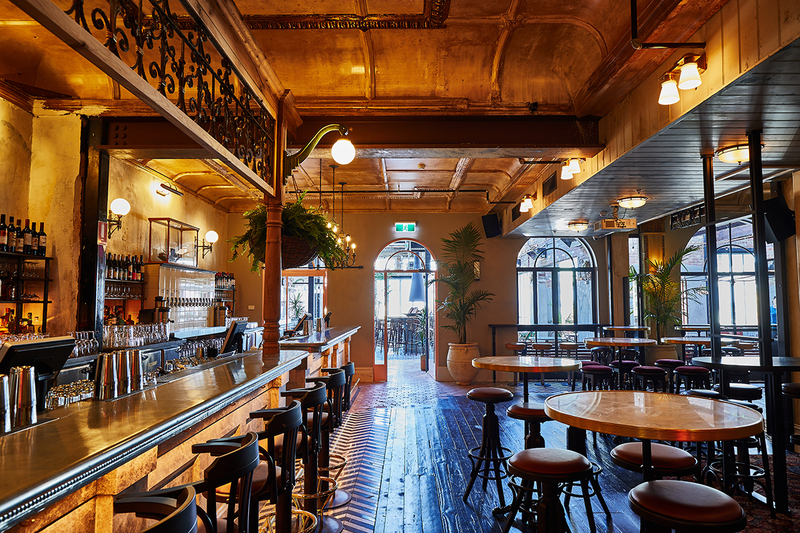 First built in 1878, The Espy has experienced a number of alterations and additions over the years - namely in the 1920's and 1970's - before being acquired by Carlton and United Breweries in 1995 and then by Becton Corporation in 1997. Becton sought to develop a 35-storey residential tower on the site, which was eventually scaled back to a more modest seven-storeys following strong community opposition. The Espy, represents Technē’s largest and most complex hospitality undertaking to date, and is 50 per cent larger than Garden State Hotel, which Technē also worked on with Sand Hill Road. Technē's design strategy reflects Sand Hill Road’s vision for the venue; highlighting the different eras across 12 bars, two restaurants and a variety of discrete spaces totalling 3,000 sqm which can accommodate up to 1,780 patrons. Since day one, The Espy has been a Victorian-era seaside resort and the hotel home to notable personalities such as entrepreneur, art collector and philanthropist Alfred Felton. It’s been a jazz-era ballroom and a rock and roll mainstay from the 1990s until 2015 when it closed for renovation. Technē's design features three different spaces capable of accommodating a range of performances from intimate jazz or stand-up comedy to rock bands drawing big crowds in the Gershwin Room - a space which Technē has left largely untouched. The Espy further celebrates its musical heritage with vintage rock posters on display throughout the building, sourced from the venue’s archives. The renovations have also opened up and activated the Espy's second level, expanding the public offering from two levels to four. An operable glass roof has been provided over the famous terrace entrance and highlights the grand stairway that connects the building’s different levels. 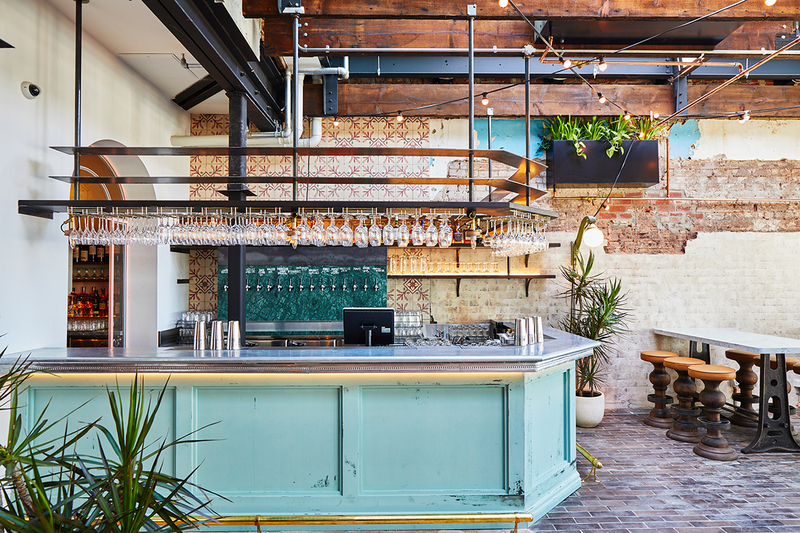 On the ground floor, the foyer’s grand arch windows provide a visual connection through to the Main Bar and to a cellar door-inspired dining area, complete with wine barrels filling the walls, and kitchen beyond. The former Espy kitchen has been re-imagined as a public bar featuring traditional curved oak detailing. Cantonese restaurant Mya Tiger is located on the first floor and draws inspiration from the famous Raffles Hotel in Singapore, providing patrons with views of Port Phillip Bay in addition to the activity on the terrace below. Felton’s spirit of art collecting and as a host of salons for the creative community informs the Technē design response on the second floor. A series of hand-painted, period-style murals by Perth artist Desmond Sweeney (8 Foot Walls) provide a unique design feature, with one occupying an entire eight metre wall in the the Green Room. Technē worked closely with Sand Hill Road stylist Eleisha Gray on conceiving the interior design and decor of the reborn Espy, curating a selection of imported furniture and decorative objects in keeping with the overall narrative. A tribute to The Espy’s heyday, Technē and Sandhill Road's transformation will ensure the St Kilda landmark remains one of the oldest, largest and most prominent 19th-century hotel resorts still operating in Victoria. In addition to The Espy redevelopment, a host of other projects such as the recently completed Gatwick Hotel redevelopment as part of The Block TV series, and the Victorian Pride Centre are breathing new life into St Kilda. A snapshot of the the area's development pipeline is captured below. There’s something about this Hotel that captures the imagination like no other. These are the things we determined to keep at the forefront of our minds as we conceived the look, feel and spaces of the new Espy – age, grandeur, history, arts – and respect for what it took to keep her alive all these years. There is no other hotel or food and beverage project in the city that is as big and complex as The Espy. Working with a building with such an interesting history has extended our entire working process. The design is unique because it focuses entirely on historical layering. Different eras and styles call to each other across the spaces – making for an eclectic customer exploration – and this is united throughout by exposing the good bones of the original building. In a design sense, the glass roof allows the old building to be viewed as it was before the art deco bay window extension was added to it. There's that element of Victorian grandeur that is coming back into the ground level foyer and elsewhere. Alfred Felton’s ghost benevolently haunts the rooms on the second level. His story is more clearly explained than it has ever been and the renovation opens up spaces to the public that have not been seen since the early 20th century when they became boarding rooms. We imagined this level as a Victorian parlour with small rooms, small bars filled with curios and little art works. There is a library and a salon – one of the spaces is called The Pharmacy because Alfred Felton made his money in part as a manufacturing chemist. People have a real connection to the Gershwin Room. We’ve refreshed the bar but wanted to make sure the whole space still feels recognisable. Our design concentrates on the building’s heritage and does not aim for a contemporary makeover. We hope it will be hard to tell which sections are original details and which things have been recreated. This approach is new for us and also it’s also largely new in Melbourne; it’s more familiar in Europe where this architectural tradition is much older. All images supplied by Technē.